One of the most important principles of placemaking, and a core belief here at the Downtown Providence Parks Conservancy, is that the best way to transform a space is by transforming the way people use it. In the years since our organization formed, we have developed arts and cultural public programs that have made Greater Kennedy Plaza a vibrant and safe public space in the heart of our capital city. 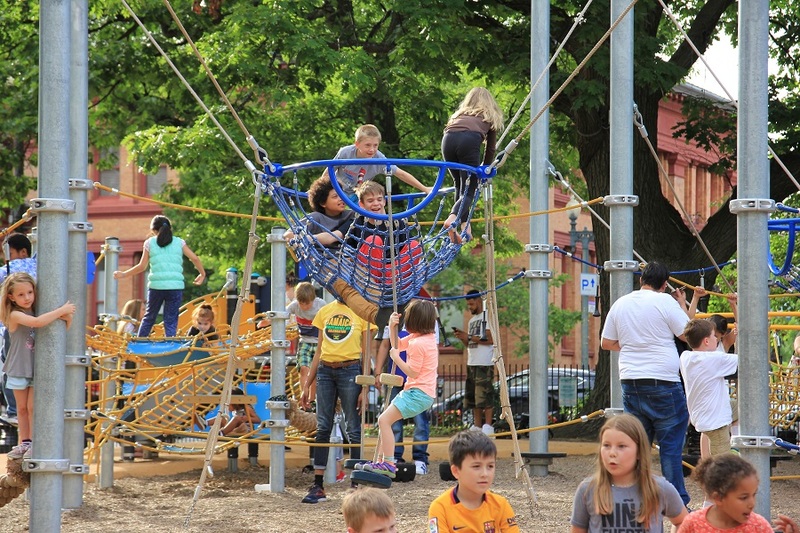 We have worked with partners to bring a world class playground to Burnside Park, and developed popular programs such as Kidoinfo Storytime + Art in the Park and the Burnside Music Series + Beer Garden. We have developed a delicious Food Truck Market, a downtown farmer’s market, an open air reading room – and we’re just getting started. It’s vital to the health of our city that we maintain our public parks as safe spaces for everyone to use, but we can’t do it without your help and support. We encourage you to join us in this work and invest in our community’s future by making a contribution to the Downtown Providence Parks Conservancy. Together, let’s create world class public spaces for all to enjoy. PS: Wondering how your money would be spent? Check out these five ways in which we’d spend your generous gift.